NACM is proud to be working with NIAB-EMR and the other partners to sponsor BBSRC CTP PhD students who are conducting cider apple relevant research as a part of their PhD. Over a series of features we will introduce you to each student and the topic that they are researching. To begin with, we look at an overview of the programme and how it will help to contribute to a secure and sustainable future for cider apple growing. For more information please contact us. NACM was first approached in 2016 to join in with a multi company approach to funding a PhD research programme focussed around top fruit trees. The FCR-CTP programme started in 2017 and covers not just tree fruit crops but also soft fruit and is the largest research programme of its kind in the UK with topics ranging from the cider apple relevant ones listed below, but also including robotic strawberry picking, managing spotted-wing drosophila in cherries and strawberries and many others. Part of the intention is the interaction between students of different disciples and different years to create synergies in thinking and ultimately application. Each PhD topic is considered for this: e.g. whilst the PhD ion root architecture is focussed on apple rootstocks, the lessons learned will also be applicable to perry pears (and plum, and cherries etc.) The students themselves are from varied background and nationalities and bring fresh pairs of eyes to cider apple research. How does nutritional status affect plant immunity? Each student will spend four years conducting the research and will present a final thesis to support their PhD. During the course of their PhDs the students will complete a number of reports and also typically publish 2-3 academic papers. NACM will maintain a library of these reports, and also encourage the students to present at NACM events such as the annual Growers Walk and Biennial Growers Conference. The 2017 cohort celebrated their first year with a trip to Herefordshire to learn more about cider making and to enjoy an evening sampling a range of ciders as well as trying some food matching. 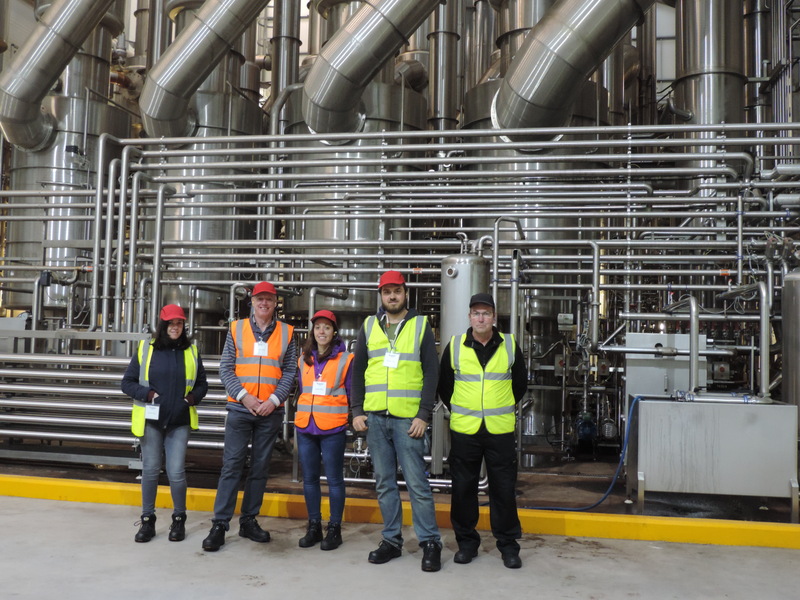 The trip included a visit to a range of Westons’ orchards, and a tour of the site which was then followed by a visit to Heineken’s apple mill in Ledbury. More field trips will be arranged as the PhDs progress. During their first year they spend time familiarising themselves with their research topic and conduction preliminary experiments to understand the issues they may face e.g. tree samples dying, not being able to get woolly aphids to breed in the laboratory. The 2018 cohort is just starting that phase having begun their work in October 2018 and we are busy recruiting students for the 2019 selected topic.